Aries Systems Corporation is pleased to provide links to the following independent manuscript preparation services. Once your manuscript is ready for submission, please visit the appropriate Editorial Manager journal site to make your submission. Do you need help to produce a well-written, publication-ready manuscript? Since 2002, Editage has been helping authors and researchers worldwide throughout the entire publication process. We offer editing and graphic services, as well as a variety of author support packages to help you achieve a successful publication outcome. To find out more about our services and to get a quote visit http://www.editage.com. Overleaf is an innovative provider of scientific writing and publishing tools – specializing in cloud-based scientific documents.The Overleaf platform, with over 200,000 users, is an online service that makes the process of writing, collaborating, editing and publishing scientific content much quicker and easier. It brings the whole scientific documentation process into one place in the cloud – from idea to writing to review to publication. Overleaf is supported by Digital Science, a technology company serving the needs of scientific and research communities. Visit www.overleaf.com and follow @Overleaf on Twitter. Manuscriptsapp.com are makers of an easy to use authoring tool Manuscripts, which supports a scholarly author from the beginning to the end of a writing project. Manuscripts assists an author in key steps in getting published, starting from a journal specific manuscript template and an outlining, editing and collaborating workflow designed for a scholar, and finishing with a submission ready manuscript entirely created in Manuscripts. The app automatically completes preflight checks, reducing chances of technical errors reaching a publisher’s peer review or production system. Finally, at the end of a writing project, the author can use Manuscripts to submit the outcome of the project for peer review directly from the app. Visit us right now at http://www.manuscriptsapp.com. bioRxiv (pronounced “bio-archive”) is a free online archive and distribution service for unpublished preprints in the life sciences. By posting preprints on bioRxiv, authors make their findings immediately available to the scientific community and can receive feedback on draft manuscripts before they are submitted to journals. Founded in Japan in 1995, Edanz is a globally recognized author services company. Edanz provides English editing, educational materials and workshops, and other expert services and products that help authors understand the publication process and communicate their research clearly and effectively. Follow Edanz on Twitter: @edanzediting; Find Edanz on Facebook: @EdanzEditing. Visit Edanz to learn more. 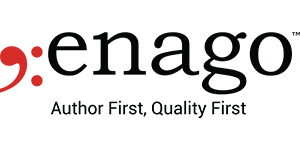 Enago is a trusted provider of author services in the global research community. Since 2005, Enago has worked with authors in more than 125 countries helping them get closer to their research and publication objectives. We also work with several leading publishers, societies and universities worldwide, primarily to facilitate their author support objectives. In addition, leveraging our extensive experience in author services and as part of our global outreach program, we create and disseminate comprehensive and easy-to-follow educational content for the scholarly community through our online Enago Academy platform as well as on-site author training workshops. Enago has offices in Tokyo, Seoul, Beijing, Shanghai, Bristol, Istanbul, Kuwait, Montreal and New York. Visit Enago on the web. Follow Enago on Twitter. Download the Enago Academy Mobile App. LetPub, the only author services company headquartered in the Boston area, helps authors from around the world publish their research. LetPub has a large team of United States-based certified language and scientific editors. LetPub’s language and scientific editors are leaders in their fields, teach at top American universities, and hold editing certifications. LetPub provides expert English editing and research communication services as well as editorial support packages for journals, academic societies, and publishers. To find out more about our services and to get a quote visit www.letpub.com.